It doesn't get any closer to the real thing than this! 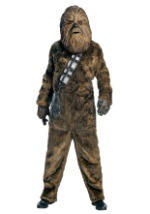 The deluxe Chewbacca collector mask looks like Chewie jumped right our of the Star Wars movie screen. The full mask is made of rubber-like latex, and it is completely covered with long strands of multi-colored light brown hair. The mask has padding inside for a comfortable fit. The large eye holes allow for unobstructed vision. A black hair mustache and faux teeth add to the mask's appeal. And the fun doesn't stop after you take off this high quality one-of-a-kind mask. You can then display this mask as a collector's item for years to come! 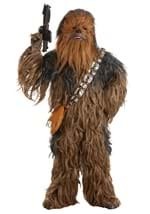 It's a must-have item for any die-hard Star Wars fan, and for all Wookiee fans, of course.